Yesterday i went fishing with my second cousin Justin and he offered to take me on a fishing trip so I accepted and went along. I first woke up at 5:00 to get ready and I got dressed put on sun lotion and prepared to go. He arrived around 6:00 and we left about and arrived at the boat ramp at 6:30 we put our stuff in boat and pushed it out then we got in and headed out to go catch some fish. The first place we went to we heard a lot of fish. We did not catch any thing that spot so we moved on. we saw lots of fish there but we were not catching anything. The Second spot we went to I caught a Gasper Goo aka A freshwater drum this was 10 minutes after being there. Later in the third place Justin almost caught a fish but once he noticed he hooked a fish he accidentally ripped it out of the mouth. After that we just headed out and of that place and went around and eventually we saw these big waves we had started to get one second of air! Once we were close to the docks he let me drive the boat it was very fun. After our trip we ate lunch and I went home. The Gasper Goo was my first fish ever and that trip was one of my first times to go fishing. Today I am going to write about hurricane Ike. Hurricane Ike was the most costliest hurricane in Texas history and the Third most costliest in U.S. history. It became tropical storm September 1 2008 it became a category 4 storm three days later on September 4 and was the strongest hurricane of 2008. Ike caused 7.3 billion dollars in Cuba and the was the costliest yet in that country. Ike costed the U.S. 29.5 billion dollars of damage. For evacuation George W. Bush made a emergency declaration and everybody had about a couple days before the hurricane hit and most evacuated but not all some stayed in their house. During the hurricane I went to a relatives house and stayed there the whole time for the duration of the storm. Justin cousin had a generator too and he had a bath tub full of water and that is where we got all of our water from. For the days we spent there I slept on the couch listening to the wind and loud noises outside. After a couple days the lights came on again and we went back to our apartment and my step brother and step brothers friend and grandma spent the night in our apartment for a couple days then headed to back home after a couple more days. we had to cook all of the food in the freezer because there was no electricity and my grandma made a big feast for everybody. We were lucky that nothing was gone or damaged because a room in our apartment. we had our dog so we did not have to worry about here being bored she had stayed in the back with the other dogs. None of our families stuff was broken and we were really happy about it too because of how strong the storm was. Charlemagne is a king of the Franks to the king of Italy to the first emperor of western Europe. Charlemagne means Charles the great and people also call him Charles i. He is a world redound king and since he was king of Franks and Italy they said they were descendants of him because he was so great. Charlemagne was first king of France in 768 then he was King of Italy to 774. After That in 800 he was crowned Emperor on Christmas day by Pope Leo in Old St.Peters Basilica. Charlemagne fought the Lombards for control of Northern Italy. Charlemagne campaigned against the Saxon being pagans upon penalty of death this lead to a massacre known as the Massacre Of Verden which was a massacre of 4500 rebel Saxons in 782. Some people say it was the worst thing he did and I think it is too. He died after 13 years of being Emperor at 814 then his son Louis the pious succeeded him. 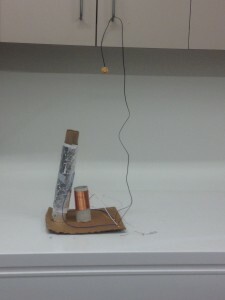 Today I built a radio from some wires and tubes, this was a really fun small project for my science class. I built a really cool radio that can listen to music or any other radio station. The first time i heard the music was in the middle of the drive way it was just some weird off beat song and I was really confused. This project took me two days to finish but I eventually had found out how to build it. After that I needed a bigger antennae so I used my bike because it was a big metal object it worked really well. Today have a writing assignment to talk about why it is important to study Islam it even if you do not believe in the religion of Islam. The first reason is because Islam is the second biggest religion in the world! So if someone asked you about it you would know something about the religion of Islam and that is one of the biggest reasons. Also another reason is that Islam is a world known religion and a lot of people believe in it. Just because someone believes in something different than Islam do not mean you have to ignore it is like when even the smartest people look at each others beliefs and if they cant prove them wrong then they join the other belief cause you never know you might have just changed your whole life and you are happier because the religion you found made more sense now you don’t believe what you thought was right because you grew up being told that. But the biggest reason of all is that History rely on these religion because there might have been a major war between two different religions.